Using vegan beauty products might be a good choice for you regardless of whether you are a vegan yourself. As they usually consist of all-natural plant ingredients, they are good for your skin and hair. The fact that the number and versatility of these products increase by the day adds another point in their favor. Are There Even Enough Vegan Beauty Products to Use? Leading news portals like Forbes and The Guardian all report an unprecedented rise in the popularity of veganism. Millions of people choose to go vegan today and the steady growth proves that this isn’t a passing fad. However, the more important thing is that people are embracing not only the vegan diet but the vegan lifestyle. This is where the increased number of vegan beauty products is coming from. That increase in popularity is the most important thing because it created a demand, which was met with the rapid growth of an entire new industry. Where a couple of decades ago only a few, mostly handmade beauty products, were vegan, today their range is huge. You can find anything up to and including pro-grade purple-tinted haircare products for bleached hair and vegan lipstick available at fanola.com.au, floraandfauna.com.au, etc. Only a few years ago, those products were only produced with animal ingredients and underwent animal testing. Yet today, the majority of top brands have at least one line of 100% vegan products and go cruelty-free. The latter is a necessity for many companies as much as a need to meet the demand of the public as countries start banning animal testing. You also don’t need to worry about your beauty budget getting out of control if you switch to vegan products. The increase of their number on the market resulted in a significant drop in prices. Today vegan products cost the same or close to the cost of regular cosmetics. It doesn’t matter whether you are a vegan or not and what your position on this diet and lifestyle philosophy is. The truth is that the vegan beauty products of today have so many advantages that one should consider them not only to spare the pain to animals. Considering their formulas, being cruelty-free is an added bonus instead of the main factor. The reason for this is that vegan products are produced using top-grade natural (often organic) plant ingredients. They are packed with antioxidants, vitamins, and minerals, which can make your skin and hair glow with health. In fact, you can consider this type of beauty products to be an equivalent of a clean and healthy diet. They contain no toxins or dangerous synthetic chemicals. 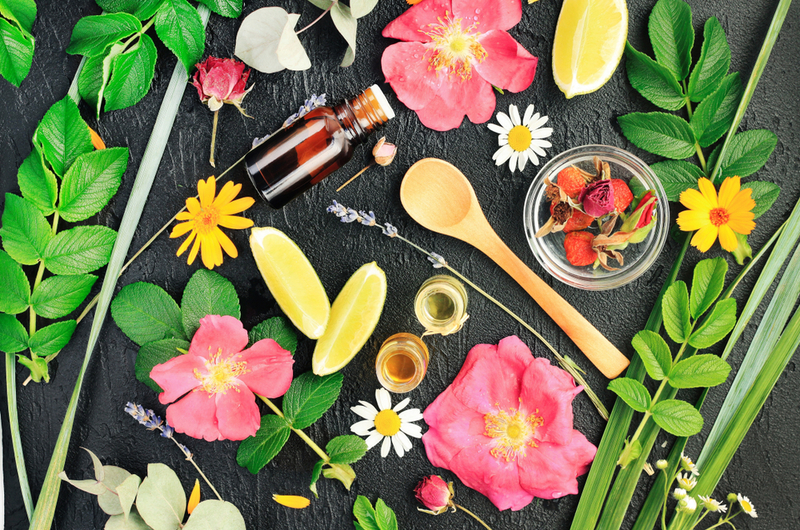 Because of the natural ingredients, the products are usually more ‘potent’ Therefore, they are able to produce a better result and enhance your natural beauty. Due to being less toxic and admittedly less complex, vegan beauty product formulas contain fewer irritants. That means that the risk of developing an allergy to them is lower. This makes them a great fit for people with sensitive skin. However, you also shouldn’t forget that all beauty products get absorbed by your skin and eventually end up filtered by your kidneys and liver. Using ‘healthier’ vegan products means that not only is your skin protected from a rash. You also protect your body from the inside by using them. The most effective choice for this is organic vegan products. But bear in mind that not all organic products are vegan by default. Look for those that have both words on the label. You also shouldn’t discard the benefits of veganism for the planet. By choosing to embrace the vegan lifestyle fully, cosmetics included, you make a contribution into an eco-friendly industry. This might not seem like much at first, but with the rising number of vegans worldwide, the change produced by environmentally friendly practices can be huge. Overall, vegan products of today are good for the skin because they contain fewer toxic and ‘heavy’ ingredients that can clog your pores and cause various issues. Most importantly, they improve all the time with new more effective formulas flooding the market all the time. They provide you with options to find a perfect match that will help enhance your natural beauty using the most natural way.